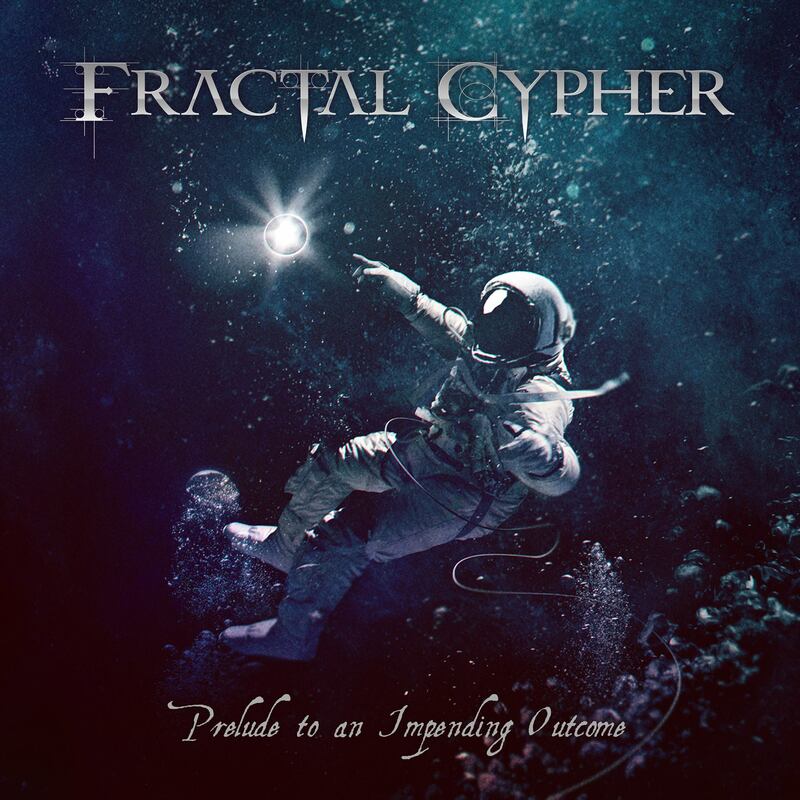 Prelude To An Impending Outcome provides a strong reason to keep an eye on Fractal Cypher going forward, but issues with cohesion and a notably short runtime offer little in the way of longevity for their second outing in the meantime. I had my reservations when I first turned on the opening track of Prelude to an Impending Outcome only to find some all too familiar tropes stretch the song’s runtime; a belated place set at the table of prog metal a decade prior, brushing elbows with the likes of late era Fates Warning and early Circus Maximus. I was then pleasantly surprised when the following track, “The Grandeur of it All”, began with a near r’n’b meets lounge jazz piano melody that led into some energetic riffage. This unexpected divulgence touched on what members of the band have cited as a wide array of influences and interests, but more importantly, made me excited for the potential of the tracks yet to come. This second track continued to remain engaging for the remainder, with a fun yet slightly cheesy chorus, and a nice, if not short for this style, instrumental indulgence in the middle. Having not been familiar with their debut, The Human Paradox, I wasn’t sure if this mixture of elements was commonplace in their sound or not. The track that followed, “From Above and to the Stars”, was less adventurous, but still contained some entertaining moments with a hint of djent bleeding into the guitar work to middling success. “Red Lady” was when I began to worry about the direction of the album. Not for the beginning though, as the upbeat solo/chording and vocal phrasing was a nice change of pace. Most of the individual elements here are competently executed and well-performed for that matter. This upbeat tone is followed by several styles of prog, aggressive keying, relaxed soloing, and even the return of both the lounge jazz and djent-esque riffing near side-by-side as a prelude to what was certainly meant to be an ‘epic’ style outro. While this sounds highly varied and attention grabbing, the clumsy transitions and truncated time with each style made for a disjointed listening experience to say the least. And then the album ended. It was partially my fault for not realizing that this was more akin to an EP with only four songs, but the scant marketing I found for the record made it seem like a traditional sophomore release – not to mention the standards set by the genre itself. Leaving the listener wanting more is usually a good thing, but here I was left somewhat unsatisfied due to the potential of the craft on display and the fumbled execution toward the end. This lack of cohesion in the identity of the soundscape reared its head more often upon each return. Cohesion in sound when discussing progressive music is especially difficult. While not all are masterclass musicians that can swing from one end of the pendulum to the other in an emotionally evocative way, a safe and sure bet lies within the overall structure or vocal compositions to act as a lynch pin. For the former, and particularly evident in the final track, the return of the chorus is the only marker of progression, with far and few movements introduced that build on the intention of the whole. Furthermore, the vocal direction is layered in a way that feels additional instead of supplemental, often failing to have any meaningful interaction between the music and melody. So, if this record allegedly fails at fundamental aspects of prog and has little volume in the way of high quality content, why are we focusing on the album at all? You might be thinking something similar by this point. One honest truth is that as a writer I invested too much of my limited time in trying to parse this music to not make something of it. The other, more tangible truth, is that given a little help in direction, there are seeds of something truly interesting here. Listening to the second track is enough to support this. The lesson lies in the importance of the larger picture, especially when making progressive music. This band is still young, and in time when more traditional veins of prog metal are inconsistent and wavering, it’s worth keeping an eye out for talent such as this. Previous PostSkulk, The Hulking Returns for a Verbal Assault in "Afterbirth of A Nation"